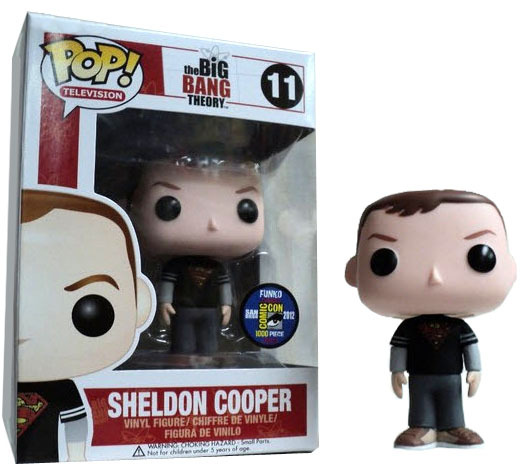 Sheldon in the 3rd variant from Comic Con SDCC 2012 vinyl figure. Sheldon from the Big Bang Theory is a character and always has the cool t-shirts. In this one he is looking tough in a Superman Tee Shirt that makes him look like the man of steel in his beefy shirt. OK well he doesn't look beefy but he thinks he is in this Funko Exclusive Limited edition piece.